Arts & Humanities for independent learners. 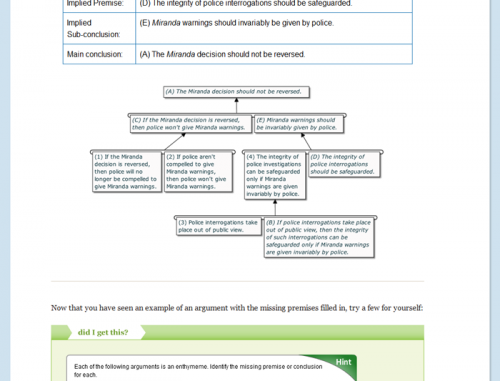 Potentially useful to a broad range of students, Argument Diagramming provides an introduction to exploring and understanding arguments. This course will explain what the parts of an argument are and how to break arguments into their parts and create diagrams to show how those parts relate to each other. Learn about Open & Free OLI courses by visiting the “Open & Free features” tab below. Learn how to communicate with the sounds and music of American English. Improve your pronunciation in Standard American English by dealing with the sounds of the words that you speak. NOTE: This is a course on speaking American English, not learning the English language. Learn about Open & Free OLI courses by visiting the "Open & Free features" tab below.